How can bureaucrats and a former young entrepreneur of the year who play with taxpayer money and not their own ever believe that they can defeat someone who puts his own bank account on the line every day with his border crossing. The thought that DRIC with their proposed multi-billion dollar bridge project, Eddie with the undisclosed business case Tunnel deal and the Port Authority with an unworkable ferry taxi service for commuters can take away business from the Ambassador Bridge is laughable. These are all money-losers with taxpayers paying the bills. If the Tunnel deal was not dead before, it is now. I speculated before that Infrastructure Ontario might have valued the Tunnel in the range of $15-$20 million. Obviously that amount has to come down drastically after the Bridge Company's new actions. I do not see someone else coming in to take their financial place in offering anything near the $75 million that Eddie wants to pay for the Detroit half of the Tunnel. They were Eddie's last hope. Why would they... under the Mayor's leadership, the value of the Tunnel, its revenues and traffic volume have dropped like stones. If one thought that they could take over the Tunnel and do well with it, US DRIC's expectation that they are going to take away 25% of the Tunnel's traffic when the new bridge opens and the Ambassador Bridge's actions should put an end to that foolish notion. 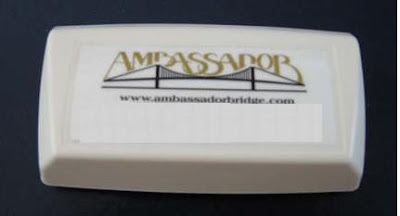 I'm sure that you read the Star story about the transponder that the Bridge Company is offering to speed people through tollbooths after they have used their Nexus card to speed through Customs on both sides of the river. In addition, the Bridge Company keeps adding new Customs booths on both sides of the river so that people can go through even more quickly. In fact, with the new booths opened recently, the Bridge Company has added in almost the equivalent number of booths as are located at the Detroit/Windsor Tunnel. In other words, we have a new crossing already! Along with RFID chips that will reduce Customs delays by 30 seconds per vehicle or so, the volume of vehicles that can be processed at the existing bridge alone has increased dramatically. In fact, especially for approved commuters, the border will become virtually invisible with almost no stopping required. Where the Governments would spend huge sums of money of taxpayer money and achieve little as with Sam's Horseshoe Road or the DRIC bridge, the Bridge Company spends their own cash to achieve results. Add in a discount on the amount of the tolls and a discount on the cost of gasoline, one wonders why anyone would ever use the Tunnel again. For the potential DRIC bridge investor... well now you understand why the Canadian Government is so desperate to get rid of the Owner of the Bridge Company. Some private party that invested $1 billion or more in the DRIC project could go bankrupt competing with the Bridge Company. That is why in my opinion the Government hoped to scare them into selling out cheaply. I wonder what Senator Fortier will do now. posted by JoeBlog at 9:35 a.m. It was almost as if someone knew my schedule. It was literally as I just stepped out of the shower and dressed in the early morning when the phone call came. “Blogmeister, would you have a few minutes to spend with me today,” the voice said. It was a very pleasant voice but it was one that commanded respect and one that I knew instinctively would not take NO for an answer. Normally, when I get an e-mail from a new reader, I will often ask if he/she would like to go out for coffee. So I suspected nothing out of the ordinary but the call did seem odd. Of course, intrigued, I said YES but before I could say another word, the phone clicked off and there was a knock on the door. To my utter amazement, there was this gigantic limo in my driveway with black tinted windows so that no one could possibly see inside. At my door were two members of the Canadian Forces in full dress uniform with guns at their side and another member at the vehicle holding the door open for me. I was escorted quickly into the limousine and off we went. I have a poor sense of direction anyway and have no idea where we wound up with all the twists and turns that the vehicle took. Of course I was engaged in conversation with the two officers for most of the trip so that I would not be able to look out and figure out where we were. We stopped somewhere in the County where there was this huge palatial estate. As we approached the front door, it opened as if by magic. 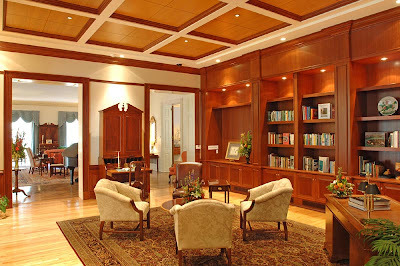 I was taken to a huge room that looked like a library in an English estate, right out of the movies. I was taken aback by the directness and by the fact that he knew what my favourite, midmorning snack was. I burst out laughing. I had never heard anything more ridiculous in my life! There was this look on his face and then he started chuckling in a manner that seemed eerily familiar. The tense atmosphere in the room immediately melted and we were both more relaxed. I thought I might as well be as direct and so asked what this was all about. “Please Blogmeister. We think you are the only one who can help us. We have read your BLOGs. You are the only one in Windsor and Essex County who seems to understands the Windsor Star and its main columnist, Gord Henderson, in particular. As you know, Henderson is a person of interest in the Windsor Star matter. We just cannot figure out whose side he is on and wondered if you could be of assistance to us. I then “fisked” Henderson’s column for the Commander in Chief. Of course, I cannot reveal everything that was said because of the Official Secrets Act but I am allowed to give you some of the highlights… Freedom of the BLOG and all of that. “We know that you spent five years working on one of the world’s largest private white collar bankruptcies, two years of it in London, England. We know that you managed a hundred or more professionals around the world working under you and that you helped coordinate a worldwide seizure by various police forces of documents on the same day and at the same time. It was unprecedented. I almost needed a drink then… a double Apple Martini or a nice glass of champagne that I actually drank in that bar as my drink of choice. It is absolutely clear that Henderson is against this project. As you know, Windsor has the lowest literacy rate in Canada. That means that few people can read through an entire column of his and understand it. Accordingly, if you want to put something across for the masses, you stick it in at the beginning of a column or a news story. What did Henderson do? He spent a good part of the beginning of his column talking about the “skepticism” of one reader. What he was really doing was giving reasons why this plan would never work by putting it in the mouth of someone who supposedly made a bet with him. Of course he dared not use the word “naysayer” or else he would have given it away. “But not everyone is as convinced. There I was, Windsor’s official naysayer, being quoted again in a key part of the story… right near the end, being given credibility. Of course, I trust that you understand the in-joke about the canals in Venice which I mentioned in my BLOG but was not mentioned in the Star. That tells me that Henderson reads my BLOGs since he also used the word “posse” in another column. A friendly competition? Henderson tried to warn us before in a column until the Eminence Greasie made Francis back off because he was giving out too soon what his plans were. “In a subsequent conversation with Mayor Eddie Francis I confessed to having rashly placed my wallet and a piece of my Scottish heritage at risk. This project cannot be finished in two years, the end of Eddie’s second term of office. I will be surprised if much of the planning can be completed before that time. Eddie has absolutely signaled that he is running again and perhaps a term after that too because this project will take years to complete. The feasibility study is a joke and so will be Cooke’s place in it as I shall describe subsequently. And yet, in Wong’s story, who received most of the mention and publicity right at the beginning for the literacy challenged: Bill Marra. HE HAD TO BE THE SEVENTH COUNCILOR AT THE PRESS CONFERENCE. After all, most people have probably forgotten by now that the urban village was Marra’s idea in the first place and that Eddie has taken it from him as his own since the arena deal for downtown and the Engineering Complex idea failed. Those were not the aftershocks from the California earthquake. The tremors felt in town were the local land developers jumping up and down for joy because Shmuel Farhi may have been neutralized in about as deft a move as I have ever seen. They did not need or want competition by a tough and smart out-of-towner. As I told you, Farhi has already received $1,375,000 by cashing in his tax credit for the land downtown if he is the person that was talked about in the KPMG Report. Now that was smart negotiating. One of my favourite National Lampoon covers featured a worried looking terrier, of the mongrel persuasion, with a pistl muzzle pressed against its sloping temple. The cutline next to this heart-rending photo reads:"If you don't buy this magazine, we'll shoot this dog." I couldn't help remembering that infamous cover when reading accounts of downtown developer and property owner Shmuel Farhi's meeting last week with city politicians and administrative officers regarding what Farhi considers a dearth of downtown parking sites. As the owner of more than 70 downtown building (many of them lovingly preserved and adapted heritage properties of real architectural distinction), Farhi weilds a hefty stick in determining the well-being of London's historic core. Farhi says he now wants to tear down the former Capitol Theatre on Dundas Street and a smaller adjoining property to free up 20 additional parking spaces for his tenants in other properties. If the city won't help him with the parking crisis, Farhi says he's prepared to go to another city where his entrepreneurial spirit will be appreciated. Incredibly, this man who has invested millions into lavishly restoring some of our finest examples of 19th-century commercial architecture says that unless he gets his way by the end of this year, he's prepared to let his entire inventory of heritage buildings rot and eventually be razed. Eddie would have difficulty confronting a man like that one-on-one! Poor Mr. Farhi, here he was thinking that he was doing a good deed by contributing $25,000 to the feasibility study. Whether he did it on his own or was asked to do so by someone at City Hall does not matter. He may be completely unable now to be involved at all in the Request for Proposal that will ultimately be issued by the City. 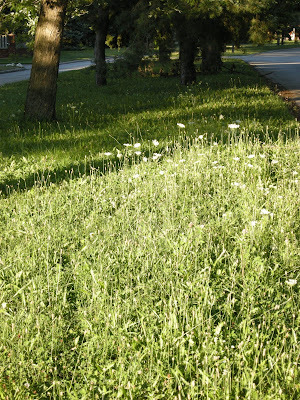 How can a land developer help pay for the study that will be the basis of the land development! Eddie must have known. After all, as our Mayor told us: he is a lawyer who knows the law, procedure and protocols. How can Mr. Farhi possibly be involved in an RFP when he has contributed to the study in the first place. Other developers could easily claim that the process was tainted, biased in his favour or that he had inside information because of his significant contribution. As the Mayor well knows “apprehension of bias” is a legal concern. Regretfully, that means that Mr. Farhi may probably be disqualified once the matter is raised. It is not of course, the Mayor’s fault and he cannot be blamed. It would be probably a jealous developer who would raise the issue! The misspelling of his name in the Column not caught by the Star proof-readers was obviously deliberate to draw his attention to this matter. I can just see the lawsuits starting that could delay this project for years if he is disqualified or if this matter is not clarified immediately. If he asks for his money back, you will know why! There were numerous other things as well…taking the Port Authority seriously while knowing that the Bridge Company will be going after them. Thinking that the Casino would be involved with the WOW FACTOR when it is known that the Casino does not want anyone ever leaving their premises because it means that they would not be betting. “WASHINGTON -- Grand Rapids Mayor George Heartwell told the Senate Wednesday that "water is the lifeblood of our cities" as he urged the Congress to ratify a compact banning diversions from the Great Lakes. "There are good reasons why the original Native American tribes settled in this area, why the explorers came, why people settled here and built their cities, and why the area continues to provide a very high quality of life and economic well being for millions of people," Heartwell said at the Senate Judiciary Committee. "It's all about the water." Doesn't part of the water for the canal come from the Detroit River? A diversion in other words. Why else do you think some of the canal is to be filled with “municipal water.” That never made any sense to me to use expensive water that has gone through our filtration plant when there is a river nearby. Now it does! "Also included in Brook’s concept is conversion of a three-block stretch of either Pitt Street or Chatham Street into a new east-west 20-foot-deep canal filled with municipal — not Detroit River — water that eventually travels north back toward the riverfront on property just west of the art gallery." Then there was Gord mocking Schwartz’s THINK BIG phrase again with our newest one “GO BIG OR GO HOME." The expression is a joke. Errrrrrr doesn’t “Calvin Brook, the award-winning Toronto urban designer who conceived this plan” understand that we are “at home” already! $10,000 only for drawings…..Give me a break. Do you think that Cooke will have the nerve to kill an Eddie dream after Cooke supported Eddie on the Engineering building going downtown.! You see, it is a done deal. This was discussed months ago. Poor Dave Cooke. Not only now is he in trouble with the University for not helping them out, but he has been invited in to be Eddie’s scapegoat just as Brister is at the arena if Eddie decides to pull the canals plug at any time. (I did NOT explain what that meant dear reader. He will have to read my BLOG just as you do for insight!]. A three-month $65,000 feasibility study is nonsense. Why, on the 400 Building Audit, $25,000 alone is being spent for outside consultants who will be doing virtually nothing other than sanitizing what has been already written. Cooke has been sent out there because Eddie understands that if he put something forward it would be mocked and ridiculed out of existence just like every one of his schemes from Greenlink to sending our best and brightest out West to be commuters. Get someone with a good reputation to support something that Eddie already wants to use for his purposes and it might get somewhere. Our few minutes with the Commander turned into several hours of intense discussion. At the end of it, the Commander and his team, they had entered the room when I started speaking, looked shaken. With that, I asked the Commander if I could be driven home because it was getting late and I was exhausted. As we shook hands and as I departed, the Commander asked me to say hello to his Cousin next time I saw him. Now I understood why the chuckling sounded familiar. And with that, the door closed with a thud. Oh if only I lived on a different street in South Windsor. Then everything would be all right. I would not have the ugliness problem. "Fed up with crime in their well-to-do neighbourhood, some of Windsor's more affluent residents have hired a private security firm to patrol their residential properties. Employing uniformed officers armed with batons and handcuffs, marked cruisers and patrol dogs, Sheprott K-9 Security Inc. began in mid-July to police an area northeast of the Dougall Avenue and Cabana Road intersection known as Southlawn Heights." I wish I lived on the street in that area, for example, like Huntington, where I could have some confidence that my high taxes would actually be put to good use by ensuring the area was cleaned up nicely. With that precedent, they might go out and hire street cleaners and landscapers themselves if the City did not do a good job I would bet! You see I made a mistake. I chose not to live on one of the roads that tourists would use when they are coming into Windsor. I foolishly chose a street where one could raise a family where there was very little traffic. Had I been smart, I would have bought a house on Dougall or perhaps Howard. You see, that is where the City is spending part of the $900,000 for the WOW FACTOR ie putting in flower boxes with beautiful plants and shrubbery to fix up the roadway so that people who are passing through the City from Toronto to get to I-75 will be dazzled by our beautiful entranceways for the 5 or 10 minutes that they are looking around instead of keeping their eyes on the road. "its potential to provide a wow factor for a depressed downtown..."
How much might the homes' value increase in that area... 400% plus! Another lost investment opportunity for me. I wonder if the speculators are buying all the properties there now! Nope, I am stuck in an area of the City without the WOW Factor. 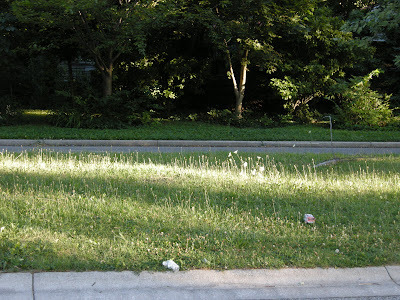 What is even worse is that one of my Ward Councillors I believe is in the landscaping business. He of all people should understand what an attractive neighbourhood means for the Community. You see, that is where Eddie has missed the boat (or the gondola), in a manner of speaking, with his canals. He needs to understand that he has to fix up the City first before he can attract outsiders. His plans for downtown are so exciting that I am sure that they will attract investors and business people to the community in droves from all over the world for the next few years or so. They will want to build factories here, set up knowledge-based industries in our City and make this City the distribution and logistics center of North America. There are some major problem though. If they drive along Wyandotte West to take a look at the nearby areas around the canals and to get to the Unviersity, perhaps to speak to the Chair respecting his feasibility study or the area's future, good luck with the shaking and rattling in their autos as they drive on the street! Before they can move into one of the canal homes or condos since they probably won't be built for a decade or so, they need to find a place to live now. Unfortunately, if they come into my area they will see... what I am posting below...some photos my daughter took the other evening of my neighbourhood. Instead of WOW, they will say UGH. They will leave and never come back here again. 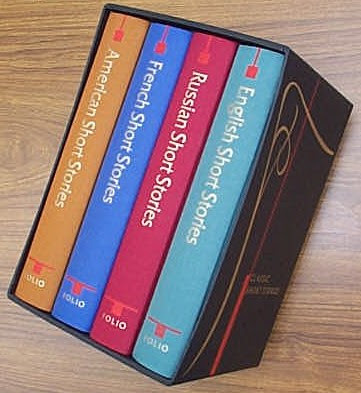 posted by JoeBlog at 12:35 p.m.
Can you believe it, more short stories including one about me. They just don't stop coming! I wanted to see what the definition of "naysayer" was so I checked a dictionary online. I could not believe it. Under the word, naysayer, I actually saw my photo. Now that is something special! Local blogger and self-described political observer Ed Arditti could be considered one of the "naysayers" dismissed repeatedly at the news conference held Tuesday to announce the redevelopment plan for the Western Super Anchor site. "It's another one of these pie-in-the-sky ideas that the mayor has floated since he's taken office," Arditti said Tuesday night. "I was actually going to try to sit down tonight and figure out how many of these things have been out there and never gotten anywhere. But I got too tired. "There are a lot of pretty serious issues that have to be dealt with before anybody takes it seriously." One of the issues, he said, is the large number of housing units depicted in the concept drawing. "The question I had was, where are all the people going to come from to fill those units?" said Arditti. "We have people leaving the city, we have no jobs here. I'm kind of wondering who's going to fill up all those units, who's going to pay all that kind of money to buy in that area?" He said condominium developers are having a tough time selling units. "They built them, and they didn't come," said Arditti. "So why does anybody think that building canals in downtown Windsor will do any good?" Several readers of The Windsor Star website also questioned the plan." You see, if one dares question what the Mayor says, then one has to be discredited. The others are merely "questioners" but I have to be demonized! The word is that some of the big muckamucks at the University of Windsor are very upset at their new Board Chair. They have this silly notion that if Dave Cooke has three months to spare to fool around in the City doing feasibility studies on Canal projects, he might consider spending that time instead taking a look at the University operations to help improve them. After all, there is a need for big sums of money to help pay for their stadium, the medical building and the new University Engineering Complex amongst other things. A recent Star article talked about "Enrolment stalling at university." A few more students might help pay the bills. And of course there are the ratings of the University that I won't mention in polite company. They just do not understand. It is so much more fun working on a $65,000 feasibility study on a project that may cost hundreds of millions of dollars than dealing with dull, mundane student issues. Just like it is more fun being an enterpreneur with no personal financial risk by spending taxpayer money rather than being a Mayor and fixing roads and sewers. What better way to meet the movers and shakers in town if one thinks about running for Mayor. If you are Dave, isn't this a much nicer way to meet people than to ask them for money for the University. DETROIT -- The Detroit City Council on Tuesday overrode Mayor Kwame Kilpatrick's veto aimed at keeping alive the sale of the city's share of the Detroit-Windsor Tunnel. Kilpatrick vetoed a July 17 council vote aimed at stopping the process to sell the tunnel. The council had voted 6-2 to rescind its vote creating an authority that would take over ownership and operations of the tunnel, a first step in the $75 million sale." It is incredible to me. I've never seen two Mayors work so hard to try and put a deal together that makes no sense whatsoever. I really am trying to understand what they are trying to achieve. Can anyone figure out what is really behind it? In any event, if you think it is finished guess again. Expect the Detroit Council Pesident and perhaps Mayor to-be if Kwame resigns or is forced out and mayoral hopeful in the next election to take a good long look at whether he should get involved in the Tunnel morass. He voted after all in favor of the Authority and thought that it might make sense to work together with Windsor. We know that a couple of politicians on this side of the river have been courting him for some time. Does he really want to get involved in this mess? It is not necessary for naysayers to kill the deals that the Mayor gets involved in. He and his friends do a perfectly good job of doing it themselves. "Thousands of Windsor workers who commute daily to Detroit may soon be able to leave their gas guzzlers at home and take the ferry instead." Yes, those 5,000 commuters that Eddie wants to protect at the Tunnel and who make up a good part of the revenues of the Tunnel are to be shifted over to some ferry boats. I sure would like to see the business case for the Tunnel if that happens. There goes that $75 million. However, once those commuters arrive on the other side, unless they work in downtown Detroit or are prepared to take buses to wherever it is that they work in the suburbs, please explain to me how they are going to get from the waterfront to their job location. Bicycle on I-75 perhaps? Of course, Customs would have to staff the ferry landings on both sides of the river with staff that can barely cover the existing crossings now. Do you see what I mean... these ideas implode on their own. We do not need a $65K feasibility study to tell us that. Naysayers need not do anything. "The Windsor Port Authority is holding preliminary discussions with the largest commuter ferry operator in the United States that is seeking to begin a commuter service across the Detroit River. WPA chairman Charlie Pingle said the proposed inland marina for Windsor's downtown west side would make a perfect terminus for such a service"
Let's give the Authority the benefit of the doubt and say that this service could be wildly successful. One of their competitors would be the Tunnel and the other one obviously would be the Bridge Company. "A federal environmental assessment is required because this project would require specific approvals from Transport Canada and the Windsor Port Authority." Here we go again. It is not enough that the City of Windsor is a competitor of the Bridge Company and is throwing up roadblocks to their project. It is not enough in addition that Transport Canada is a judge of the Bridge Co. project and a competitor for a new crossing with their DRIC Bridge. Now the Port Authority has made themselves a possible defendant as well with their role as judge and ferry advocate. Just a quick summary of news stories you may have missed as you were out watering your garden plants during this hot weather. There's a lot here and a lot of multi-media too. Have a big cup of coffee as you read, watch and listen! I do not know obviously all of the details about the Detroit system for fueling vehicles but there are similarities with the one in Windsor. Auditors say lack of oversight leaves city's fuel supply vulnerable. DETROIT -- City auditors say there's strong evidence that employees and others are misusing and even stealing fuel from city pumps, warning there is a "total lack of control" over the city's nearly $7 million a year gas supply. The city has issued more than 7,500 electronic gas cards to city employees -- more than half of the city's entire staff -- since May 2005 and auditors say upper management is not monitoring their gas use at city-owned stations, even though they have the tracking system to do so, according to a report from the Office of the Auditor General. • Gas cards aren't recovered from fired or retired staffers. • Noncity vehicles, including a Honda Civic, have been seen filling up at city pumps. The concerns couldn't come at a worse time as gas prices are at all-time highs and the financially struggling city is contemplating layoffs if the City Council doesn't agree to sell its share of the Detroit-Windsor tunnel for $75 million to plug the deficit. In May 2005, the city introduced a tracking system at 11 of the city's fueling stations in part to prevent misuse of city fuel and to track employee use. The system, when operating correctly, requires the user to enter in the vehicle's identification number and mileage and swipe the gas card. • Last month, an auditor was able to go to two different stations where the tracking system was down and fill up a gas can without a fuel card or any identification. • Three of the fuel stations have pumps that have been in a "bypass mode" since March because of equipment problems, which means gas can be obtained without a card. City employees told auditors they believe gas has been stolen because vehicles that were filling up didn't appear to be city-owned vehicles. • Security is lax. Spot checks last month found that auditors were able to pass by security officers at three fuel stations without showing identification and another check found no guard at a post for an hour. The city has opted to activate the lowest level of security on the tracking system as "a matter of convenience," city staffers told auditors. • Gas cards are unaccounted for. When employees retire or are fired, the cards aren't always returned and those responsible for tracking the cards aren't notified when an employee leaves the city. The Detroit Fire Department never sent confirmation whether nearly 1,600 of its employees assigned cards ever received them. "The Office of the Auditor General ... obtained compelling evidence, which suggests that the city's gasoline supply has been, and is continuing to be misappropriated," auditors wrote in the report submitted to the City Council. "Conditions exist which demonstrate a total lack of control over the city's fuel supply." Businesses line up to fund the waterfront feasibility study"
"cheques rained down on Mayor Eddie Francis Tuesday." I expected a summer thunderstorm of money to have flooded in from businesses all over the City to pay for the study. Instead, all I saw was $25K from Mr. Farhi who owns property nearby and from the WFCU, the Windsor Port Authority re the ferry taxi service and CAW Local 444. Wow, we naysayers have power... attacked before anything is even public. "Francis, who, like Lewenza and other speakers at Tuesday's announcement in the foyer of the art gallery, denounced the "naysayers" already lining up to predict this latest in a string of grand plans for the downtown west side will similarly lead to nothing." Just in passing, ask your Councillor if he/she heard anything about this BEFORE it hit the press! If that is the case and Eddie is so very familiar with the proper procedures, the law and protocols as he suggests in this video clip, then why do we need to spend so much taxpayer money on a Legal Department and millions on outside lawyers like David Estrin, Cliff Sutts, George King, William Willis, Stephen Waque and Stanley Makuch. He should do it all! Come on now. We all know that there is more going on behind the Brian Bell story than we are being told. Please do not tell me that our master micromanager, the Mayor, retained a lawyer in March but did not follow up. "Francis said the city brought in human resources lawyer George King to provide advice on how to end the situation. "We hadn't heard anything since then," Francis said. "But to city council, to myself and to this community, it's insulting that he's able to article at a firm while he's on sick leave..."
It looks like Frere Jacque was not the only one who has been sleeping. It is amazing how the story hits the A-channel and then the Star a few months before the articling period would be over. Amazing as well that there should be a big Star Editorial dealing with this issue so quickly. Note the use of the royal "we" by the Mayor in the story. "People are livid," Francis said. "Just like we are." Perhaps the Mayor knows now why people are mad about actions being taken behind closed doors! "Library chairman and city Coun. Alan Halberstadt -- who last week said the board does not feel Bell "is fulfilling his contractual obligations by articling" -- suggested the mayor does not know enough details about the legal ramifications. "He has doctor verification for his sickness and we have to respect that," Halberstadt said. "If the mayor wanted to call me I could apprise him of all these issues, and what the board is trying to do. "But I can't discuss it publicly." "Several sources indicated Bell recently completed his law degree and needs time to complete his articling duties." Just so you know, dear reader, articling is a full-time job. "The articling term is ten months. Within this ten month period, an articling student-at-law may take up to two weeks of vacation." "The Student-at-law agrees to serve the Principal as an articled student-at-law commencing the___ day of____, 2008, for___consecutive months. 4. During the said period or periods of service I did not hold any office or receive any remuneration nor was I engaged in any employment other than that of an articled Student-at-law (disregarding non-law-related part-time employment after office hours or on weekends which need not be mentioned), except as follows:(attach additional sheet if necessary). "fulfilling an agreement with the Library to fund his law degree." "the reason that I am not there right now [at the Library] is confidential. I am...going with whatever was agreed to on any [unintelligible] agreement that we had." Bell also claimed that he kept the Board Chair up to date and advised on an on-going basis. "he has legitimate stress and medical concerns confirmed through regular doctor visits -- something he thinks city officials should not discuss publicly." Can you imagine the stress he may be placed under now especially if he has an arrangement with the Library that the Mayor knows nothing about. Like any driven professional, Diane Way was always looking to advance her career. But while most people leave one job before taking a new one, Ms. Way tried a different strategy – she started a new job, kept her old one and didn't tell either employer as she juggled both. She was hoping to keep her options open in case the new position didn't work out, according to an adjudicator's ruling. Instead, she ended up being fired from both jobs and embroiled in a four-year legal battle over her actions." Now we know who to blame for everything concerning our municipal political mess: Lee Iacocca and other big name CEO's. Fascinating article by Tom Walsh in the Free Press. It does not apply in just Detroit either. ...How did it all come to this for Kwame Kilpatrick? Perhaps we should blame it on Lee Iacocca. So taken was the American public by these superstars of business that people started asking, "Why can't we run government like we run our private-sector businesses..."
During a long layover in the Amsterdam airport, I had the mayor to myself for a couple hours and we talked about his philosophy and goals. Kilpatrick had no business experience; he had only worked as a schoolteacher and state legislator after college and law school. But he had bought fully into the run-government-like-business philosophy, or at least the appearance of same. His gave his department heads corporate-lingo titles -- chief financial officer, chief development officer, chief administrative officer, chief information officer. And he was already chafing at budget limitations, which were frustrating his attempt to hire a strong COO as local business leaders were urging him to do. "A lot of city managers around the country, they have pay packages as high as $400,000. I mean, these guys are making real money," Kilpatrick told me, noting that his budget called for a COO salary of $140,000. "We don't need a B-team person in Detroit; we need an A-team person." That same year , a book was published titled "Searching for a Corporate Savior: The Irrational Quest for Charismatic CEOs" by Rakesh Kurana. Kurana traced the rise of the American CEO from anonymity to superstar in the last two decades of the 20th Century. "Previously, CEOs were about as well-known as their chauffeurs," he wrote. "But something happened when Lee Iacocca was credited with single-handedly saving an American icon. Most people forgot about the $2-billion federally guaranteed loan to bail out Chrysler, or the United Auto Workers' givebacks. Iacocca made other CEOs look bland -- there was even talk of drafting him for president. "The image of a CEO changed from being a capable administrator to a leader -- a motivating, flamboyant leader with a new task. In the late 1980s and early '90s, business tried to redefine itself; it was no longer about the profane task of making money, but concerned with vision, values, mission -- essentially religious terms." So don't look for Detroit's CEO to retreat quietly, or impoverished, from the scene. He has fully embraced the cloak of the modern charismatic CEO. And he won't give it up easily." One slight problem with all of this. If it is so bad, where have the media been for so long! The existing crossings between Canada and the US could not solve this problem nor would a new DRIC Bridge. There is only ONE solution as the Bridge Co. has been advocating for years. U.S. Customs officials discovered a grenade in an SUV crossing from Canada into the United States over the Ambassador Bridge late Sunday night. The Detroit Police bomb squad was called in to examine the grenade, which officials hadn't yet determined was live or a souvenir, according to one fire official. Three Canadians and three Americans were in the SUV, the fire official said. Homeland Security officials also were on hand, as was the Detroit Fire Department. Homeland Security was notified because a potentially explosive device was found. Come to Windsor Airport this Saturday, August 2 from 9-6 for a rare look at one of the world’s last two flying Lancasters. The Canadian Historical Aircraft Association ( CH2A ) is having a fly-in display of the Hamilton Lancaster and visiting Spitfire from Ottawa along side Windsor’s own Lancaster (Bad Penny) and other historical aircraft. Local author, Glen Mitchell, will be on hand for a book signing of his inspirational children’s book, “A Bad Penny Always Comes Back”, (telling the story of the very first Lancaster flown into Holland by Pilot Bob Upcott of Windsor, to “bomb” the countryside with food for the starving Dutch near the end of WWII) and will also be premiering his beautiful, 200 piece “Bad Penny Puzzle”. Partial proceeds from book and puzzle sales benefit the continued restoration of Windsor’s Bad Penny as well as the Windsor/Essex ALS Society. Elaine Weeks and Chris Edwards of Walkerville Publishing, producers of “A Bad Penny Always Comes Back” and the “Bad Penny Puzzle” will have a book signing of their award winning volume, “Best of The Times,” a celebration of Windsor and area’s rich history. Partial proceeds will benefit the continued restoration of Windsor’s Bad Penny Lancaster. Here they are together again. The guys who tried to stick the University's Engineering Complex downtown have joined forces again and are trying to stick it to us downtown one more time. That's right folks, Mayor Eddie Francis, University Chair Dave Cooke and WFCU Head Marty Komsa are presenting us today with a concept that one can only say is breathtaking, visionary and designed to make the City of Windsor the leading jewel and the symbol for massive redevelopment and economic rejuvenation on the Great Lakes. What else can one say! What else can one dare say and not get run out of town as being small-minded. No wonder the "Chinatown" story got such great coverage---five-storey, three-to-four-star hotel, commercial-retail, four-storey office building and a fast- food district. No wonder Monday night at Council will see an Agenda Item "Museum Development Feasibility Study Process." It all ties in so well together. Those “sneering” naysayers, not just mere naysayers anymore, will try attack this dream. We “individuals with vision” will again have to fight to protect the riverfront. Unfortunately, it seems that Mike Hurst was really not one of us even though, previously, everyone seems to have given him credit for a good part of what was done on the river. His name was not mentioned by Gord. He is now officially a non-person in Windsor. Do not dare recall his plans for the downtown. Oh I know that people will “spew bile” to mock the concept. 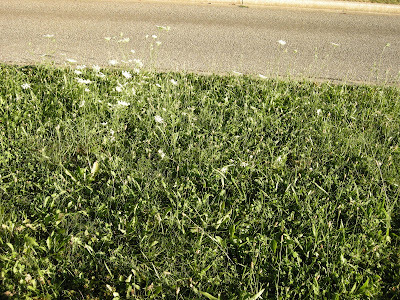 Mind you, they are not hiding in the weeds to do so; it’s just that the Parks Department has been unable to cut the grass around the City. You see, they are too busy fixing up Dougall Avenue for tourists, forgetting that the Highway 401 exit has been closed so they cannot take advantage of seeing what $900,000 can do to beautify our entranceways. You thought I was kidding about the "Get Eddie" posse of whining and naysaying Reporters at the Windsor Star. Henderson confirmed it! 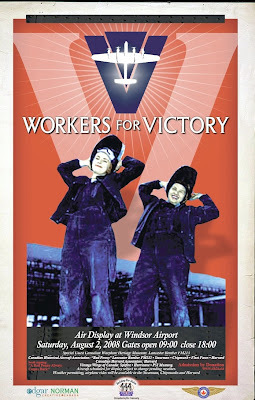 Who were the first to make “howls of protest?” None other than several of his scoffing co-workers. No wonder things are so bad when reporters from the only major media outlet in town are “jeering.” No wonder people in this City are so negative and cannot see what the Three Gondoliers would have achieved if only they were listened to about the University going downtown. Those reporters are warping our minds. Fortunately, as usual, Gord got first crack at the story to brainwash errrrrr persuade us otherwise. This is no gamble with logical, Casino-man, Dave Cooke around. I told you as well about the rumours about him running for Mayor which were again confirmed today by Gordon in black-and-white. I wished that Gord had told us who was really promoting him so that Bill Marra would decide not to run for Mayor because his chances would be hopeless. I mean after all, Eddie may have to run now for a third term to bring this THINK GIGANTIC dream to fruition. My recollection was that Eddie said no money would be available until 2011 for the University Complex. By the time that the feasibility study is completed by Mr. Cooke and we have conversations about the concept, it will be time for the next election don’t you think. What a platform to run on. I can see a whole bunch of developers rushing right in. Mr. Fahri should be pleased because it is right next door to his piece of property. Chuck Mady ought to see the opportunity for putting in a Seniors' Complex as shown on the artist's sketch (There have to be more of those pictures for $10,000!) because he’s building one already in Windsor. This would be a natural for the Mikhail brothers and David Petretta so they will not fight trying to get a bank building downtown. I wonder who’s going to come up with the idea of moving the Windsor Housing units to the area so that the new City Hall can be built after the Barn is also torn down. I really loved the idea of the water ferry taxi service between the Windsor and Detroit. I guess that is Gregg Ward’s new career after the DRIC bridge is built and puts him out of business since it will allow vehicles with hazardous goods to cross over. Yes, nothing like spending $75 million to take over the Detroit side of the Tunnel and then take away business from the Tunnel with a ferry service. That is clear thinking. "The city is not getting involved with any of the developments," he said. "The city will be doing what we should be -- investing in infrastructure. By doing this, we give the city a chance to do bigger and better things." That's terrific. Let us spend taxpayer money to make others richer. Just like building roads and bridges at the Arena. By 2011, we will have gobs of money for infrastructure. Think of the money we were supposed to have had for the Unviersity Complex or the Eddie $100m Investment fund. Heck, there is always another capital levy on citzens that the Mayor can impose. If only Eddie had followed his campaign promise of a public/private partnership for an arena downtown to be the anchor for this development, we would have more than $50M available today since we would not have had to pay $65M and counting for the City, 100%-owned, East End arena. Sigh, that's water under the bridge and in the canal now. All of a sudden, it hit me. I knew what this was. It was Delray, Michigan all over again. Eddie learned from US DRIC and our across the river neighbours where the new DRIC bridge is supposedly going. What great opportunitites they were going to have after hundreds of families and businesses are moved out. I remembered seeing the boards of artists’ renditions prepared by US DRIC over there with all the parklands and canals and golf courses and magnificent homes. “"C. Another community member asked about the surrounding neighborhoods and revitalization of those neighborhoods. R. Joe Corradino spoke about the conceptual plans to revitalize the area. He noted such plans need a partnership among government agencies and the private sector to succeed. C. Bob Benson noted revitalization of the community is not MDOT’s responsibility. MDOT will make recommendations; it will be someone else’s responsibility to implement those plans. Some people may have the impression that MDOT is going to lead the revitalization of the area. R. Mohammed Alghurabi noted MDOT is responsible for the DRIC study. And MDOT will be responsible to build the new bridge, plaza and interchange, if the project is approved. He noted MDOT will need partners to revitalize Delray. Q. What will it take to implement the conceptual land use plan for Delray that the DRIC Study Team proposed? A. It will take a partnership among many units of government, including the City of Detroit, and the private sector. MDOT and the Federal Highway Administration can serve as a catalyst and make some but not all the investments. And, the DRIC Study Team believes it will take 20 to 25 years to fully revitalize Delray as portrayed in the conceptual land use plans. Q. Are there funds allocated/budgeted to make the plan a reality? A. No. Action on the plan, even by MDOT and FHWA, requires that it be approved. That is not scheduled to happen, if it happens, until the latter part of 2008." Are we being played for fools as with Greenlink and the DRIC Road drawings? Or is this the first shot for the demand for Eddie to back off on Greenlink and to sell Brighton Beach? Money for canals and the Tunnel as starters. Come on Gord, stop thinking so small. If we are going to THINK PREPOSTEROUS, stop comparing us with Fort Lauderdale, Oklahoma City, or San Antonio. It is time to start thinking world-class. This is Windsor: the soon to be Venice of the Americas. O sole mio to you too! Would you blame him for being angry? He wanted to build a first-class condo project downtown and he might have lost the site to the University and still may to St. Clair College. The City may have to expropriate his land if a major Educational complex is still to be built downtown! Does the City think that they could just buy him off with expropriation money to make him feel better? It is so difficult to find out things in this town because of the disease known as in cameraitis. Just as the City Hall amnesia pandemic has spread, it appears that the City Hall illness of in cameraitis is now affecting the University. Just ask Gord Henderson since he was the practitioner who discovered its spread. I am sure that a number of people in town would have been interested in knowing which properties downtown might have needed to be expropriated for the University expansion, say for residences for students. Of course, if the Board of the University had an open meeting and if all other relevant materials were open to the public, then we would know and would not have to speculate as I am doing. The guy who must have been on pins and needles about all of this must have been Shmuel Farhi. He is the gentleman from London who owns the 110 acre Lear plant that he purchased for $8 million in 2005. Remember that he sold 40 acres of it to the City for $4 million along with getting the prime piece of waterfront land west of the Art Gallery of Windsor worth around $2 million. That is what the City paid for the property in 1999 when it bought it from the Art Gallery. I have no idea if it increased in value from 1999 or not. "Coun. Joanne Gignac, a member of the arena steering committee, said she had no idea what Fahri originally paid for the land. "The ($4 million) was a price council thought was reasonable," she said. 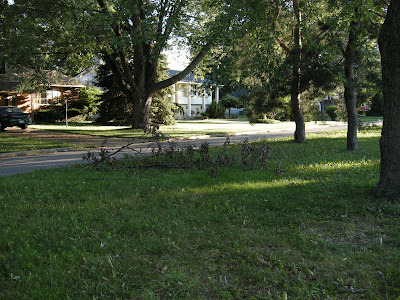 "We then included the property on Riverside Drive. Rather than pay (more) cash." Perhaps she might be interested in buying my house so I can retire to the warm climates with all of this snow we get here. I hope she maintains the same attitude when I tell her how much I want for my place. I want a million dollars so I can live on the beach in Florida. I think my price is reasonable although I paid a small fraction of that amount to buy it originally. Think she will go for it? It looks to me that the City may be doing to Mr. Farhi what has been done to other business people who want to invest in the City. Are we trying to chase him away too? “Farhi said he will use the year to line up potential buyers for a "first-class" condominium development overlooking Windsor's waterfront, with retail on the ground floor. "The building next to the Art Gallery is going to warrant a first- class facility," he said in a telephone interview Tuesday. "I am not building anything unless it is first class..."
"If we see other opportunities in Windsor, trust me, I have deep pockets and I will spend money in Windsor." “Windsor city officials are right to be rolling out the red carpet for people like Farhi. Anyone who thinks Farhi will negatively impact anything should think again." “the Lear plant moving to an industrial area in a few years, which would pave the way for him and other landowners in the area to create a commercial and recreational hub surrounding the new arena. "This place, the way I see it, it is going to be transformed into a new development." Now that the plant is closing, he can build this new development to the advantage of the City. Initially, Farhi wished to build the complex within a year. Unfortunately, the economic position of our City has so messed up that it appears that Farhi could not develop it right away and “will have up to three years to take ownership of the property.” I mean, who would buy a river front condo in this City right now. Just ask a few of the developers who have buildings up now what their sales are like. Did we sell him a lemon of a property? If the City had paid cash, we would have none of these issues and he would not think badly of City Hall. Was his property one of those that was to be expropriated for the University? Who knows?Councillor Halberstadt mentioned the E-word in one of his BLOGs when he referred to “expropriation costs.” I had heard that the University’s architects had suggested that perhaps more land might be needed for the Engineering Complex if it was to locate in the downtown. The poor man comes into our City and wants to build his magnificent structure on the river that could be a signature development for our City and we almost turned around but for the University deal falling apart and perhaps expropriated his land. What a slap in the face that would be. In all good faith, he does a deal with the City and then the City almost takes away his property for the University before he can even get started. How can anybody do business with a City that would do that? I guess all that would happen was that there would be a huge fight over the amount of money that he would get because his first-class development was expropriated even before he was able to put a shovel in the ground. Sure he might be able to walk away with millions and millions of dollars above his purchase price but look at what he would be losing. That project would have made his name a household word as a developer in our town. It would not surprise me to see him take his money and leave Windsor. Another unhappy business person who has dealt with us and who would have reason to badmouth us. I hope the City can make it up to him. I hope he is not mad at us. But the point is moot anyway. The University is not moving downtown. Now poor Mr. Farhi has to be concerned about another Strasser/Francis deal that might result in him losing this gem of a property. I think but I do not know exactly if the City IS trying to be nice to him finally. I saw this strange entry in the KPMG "Audit findings report to the Audit Committee" for the year ended December, 2007. "On January 17, 2007 the City entered into an agreement with a third-party to exchange property relating to the arena project. As part of the agreement, the City was required to grant a credit of $1,375,000 to the third party. Subsequent to year end, the third-party exercised their option to have the credit paid out in cash. It was determined through our procedures over the search for unrecorded liabilities that said amount had not been accrued at year-end. Administration has subsequently recorded an accrual impacting the capital fund and accrued liabilities. "Was required" was a strange phrase to use. "Coun. Dave Brister, chairman of the arena steering committee, also appeared not to know the riverfront land had not been transferred to Fahri and he was not paying taxes. He deferred following an arena project committee meeting Monday to parks and recreation director Don Sadler, who has been overseeing the project. Sadler explained the tax free break for Fahri as a credit against building fees for what he might be billed for anything he constructs prior to the end of 2008. "He will be responsible for fees at any later date," Sadler said. Even though the valuable riverfront property remains in the city's name today: "It's (Fahri's) property no matter what," Sadler said." I hope that one of the traditional media journalists could do a follow-up and find out what is going on. Perhaps we have made Mr. Farhi smile just a little bit. 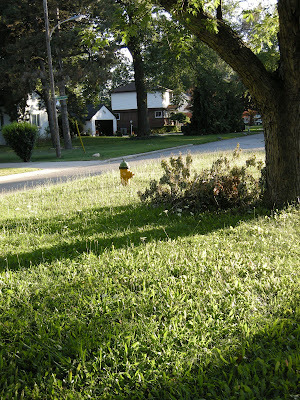 Maybe, just maybe, he will stick around here to wait and see what else can be done in Windsor. We Need A New Billion Dollar DRIC Bridge Project Because.. There really are better things to do with the money. I know, I know... we need a new border crossing because of congestion. Capacity is such that our road system will be completely overloaded shortly. Traffic will double. The border is thickening and so on and so on and so on. Of course, we are never told very much about the reality of new technology and processes that are being developed such that in effect we will no longer have a border because Customs will be virtually eliminated for many vehicles. Part of the objectives of Customs on both sides of the river is to remove Customs clearance away from the border in the first place. If all of this was publicized too much, then the $60 million plus DRIC study that is trying to justify billions of dollars of expenditures might be tossed into the garbage. Here are a couple of items I thought you might be interested in. The first is on the individual side. My recollection is that a TV news spot claimed that 30 seconds would be saved per vehicle on inspection time. If the clearance time is one to two minutes per vehicle, then think of the number of extra vehicles that can be processed per hour with the existing numbers of Customs booths. NEXUS border-crossing cards are changing to add security, though a U.S. government official says they should also help speed the process. Sometime in the fall, current NEXUS cards -- in use for five years to help regular commuters move quickly across the border -- will be swapped for second-generation NEXUS cards. "It's leaps and bounds more secure," Chief Ron Smith of U.S. Customs and Border Protection said Wednesday. "But beyond the security issue it will also make us more efficient." About 355,000 people currently hold NEXUS cards. Both Canadian and American officials hope that number will climb significantly, since NEXUS cardholders typically cross land borders with less delay than those using other government-issued ID." VANCOUVER, B.C. -- The Canadian and US federal governments need to move faster to fix the delays truckers face at border crossings, according to John van Dongen, B.C. 's Minister of Public Safety and Solicitor-General, a story published by the Vancouver Sun states. At a major intergovernmental conference on July 21, van Dongen said that while governments have moved to implement programs that expedite the passage of "trusted travellers" across the border, he still sees long lineups at the Fraser Valley's Pacific border crossing. He contends that those lineups result in fewer vehicles taking more time to get across, "which represents huge lost dollars." The situation has improved over the past four years, according to other speakers at the breakout session of the Pacific North West Economic Region (PNWER) conference in Vancouver, a government-funded advocacy group representing eight states and provinces in the northwest. Van Dongen said that while things are moving in the right direction, "Rome is burning while we're trying to get this stuff implemented." The issue of the border, which has become a stickier line to cross in the security-conscious 9/11 era, was a key topic of discussion at the PNWER annual meeting, which brings together top government and business representatives to talk about common issues. Van Dongen serves as one of PNWER's vice-presidents. The potential for visitors to Vancouver and Whistler's Olympics in 2010 to face delays dominated a morning session on border issues. Premier Gordon Campbell reprised that theme as part of his keynote address during lunch. Recalling an uncomfortably long wait for transportation at the 2004 Athens Olympics that still sticks out in his memory, Campbell said he wants to make sure the thing that people don't remember about the 2010 Games, is a long wait at the border to get into Canada. Campbell credited PNWER with advancing the border delay issue with both the Canadian and US federal governments, and pushing for innovative solutions, such as enhanced drivers' licences, which are being piloted by Washington and B.C. as acceptable border identification. Cargo crossing the border was the afternoon topic, when it was mentioned strides have been made towards improving the two-way flow. Kelly Johnston, vice-president of government affairs for the food conglomerate Campbell's Soup Co., said the big problems - where trucks could face eight-hour delays at the border - are gone. "(Crossing the border) has gotten better," he said. "But is it better than before 9/11? No. Definitely we've added more fees, more complexities and more programs," he added. The Canada Border Services Agency is in the midst of implementing a $396-million pre-arrival notification program aimed at streamlining truck and rail shipments coming into Canada. It's called eManifest. Under the program, shippers will be required to notify Canada Border Services electronically that they are sending trucks or rail cars to the border, tell them what freight is in the containers, who the driver or crew is, and how they will be crossing at least an hour before the containers arrive at the crossing. Feniak said it will be an extension of the pre-arrival notification programs that ship borne and airborne cargo is subjected to now. The idea is to give border officials time to review documentation for shipments, conduct risk assessments and make decisions about clearing shipments or flagging them for secondary inspection before vehicles arrive. Feniak added that it should reduce the time it takes for a truck to get past the crossing to about 30 seconds from the one to three minutes it takes now, which should help reduce border lineups. "It rewards compliance with predictability at the border," Feniak said. He added that the program will be phased in over three years. The first phase, this fall, will be to educate shippers on the steps they will need to take to comply. Van Dongen said anything, like e-Manifest, that moves checking loads or decisions on which shipments need secondary inspection away from the border point are good strategies, but they just need to be put in place faster. "I know they feel they're moving quickly with a three-year implementation," van Dongen added. "But we've got to work harder to shorten that up." Someone needs to explain the logic behind DRIC and what seems to be a compulsion to spend money when there is no reason to do so. That logic is even more questionable in this area where the automotive industry is dying. I'm sure that you remember the horror stories given by various ministers and the media about an auto part crossing the border seven or eight times before the final vehicle is built. Does that still seem to be an issue now with all the plants closing down? As I will explain in another BLOG, what is ludicrous about the DRIC process is that it does not solve Windsor's main problem. Do you want to know the funny part... the new DRIC Customs Plaza inbound into Canada will have 29 lanes to handle all of the increased traffic that is supposed to come here over the next 30 years or more. I asked the DRIC people recently if they knew how many lanes there were at the Ambassador Bridge today to handle inbound traffic. Their guess was perhaps 20 lanes. The actual answer is 29! In effect, with these new technological advances that cost several million dollars, not the billions that the DRIC will require for a new crossing, we have effectively built a new border crossing and more. Who knows what technology will do in the future or if we develop perimeter security around North America as is being proposed or of we have a Customs regime similar to that of the European Common Market! Do you see what I mean and what I have been saying for so long? The issue in Windsor/Detroit is nothing more than trying to force the Owner of the Bridge Company to sell out cheaply so that the Canadian Government can take over the border crossing and give it to some other private enterprise P3 partner. Perhaps to the Tunnel P3 partner in a single source deal! Why else is the Conservative Government expert in P3's, Senator Fortier involved in the border file. "Greenlink" And The Vehicles Windsorites Drive! "I sent out the following e-mail last week which documents that Windsor residents drive the least fuel efficient vehicles in all of Canada. (see attached table). I've been getting a lot of requests to expand on this and try to explain what this means so here goes. Well, unfortunately this means that Windsor has the highest Green House Gas emissions in all of Canada from the vehicles on the road in the area. (GHG's are tied directly to fuel efficiency!) This is another case of Windsor saying to the rest of Canada .... "Do as I say, not as I do". Here we have a Mayor demanding that the Government invest billions into their "Greenlink" road to the border supposedly to lower pollution when in fact the Citizens of Windsor drive the LEAST environmentally friendly vehicles in all of Canada and contribute more GHG's to their local community than any other city in Canada. When the Mayor got 16,000 citizens to sign a petition supporting Greenlink I wonder whether he asked any of them to write down which gas guzzler they were driving and to sign a pledge to downsize to a more environmentally friendly vehicle? Maybe this is why this proposal is viewed with such scepticism by senior levels of Governments? I ask, "Why should Government be forced to spend billions in additional taxpayer money to address pollution issues when the citizens of Windsor themselves have demonstrated, through the vehicles they drive, that they are the least environmentally sensitive community in Canada?" One of the databases we have is a census of vehicles on the road that is produced annually by R.L. Polk. We recently took this information base and merged it with Transport Canada's fuel efficiency guide. 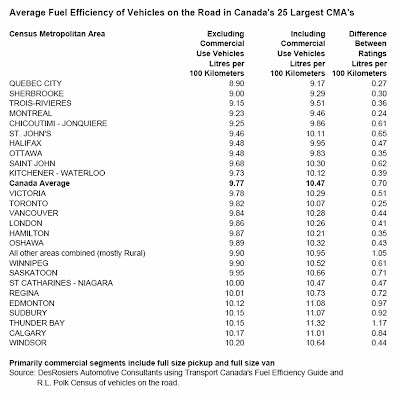 The results are quite interesting I will write up an analysis and publish it in one of my Observations but in the meantime I ran off the average fuel efficiency of the 25 largest Census Metropolitan Area's in Canada and found the results quite interesting. In order to normalize the information I also looked at the fuel efficiency with and without commercial use vehicles (defined as pick up trucks and panel vans). My figuring is that some CMA's are tied to very resource intensive economies and thus they need to drive more pick ups and panel vans. So it wasn't fair to compare these CMAs to more urban oriented areas in the country. By a wide margin Quebec City consumers drive the most fuel efficient fleet in Canada with an average fuel efficiency rating of 8.9 Litres/100 kms. The least efficient was Windsor, Ontario. Isn't it ironic that the City that is most dependent on the automotive sector in Canada and thus the City that is being hurt the most by the automotive downturn in the USA (partially caused by high gas prices) is also the City that has the least fuel efficient vehicles on the road? Windsor's fuel eficiency is 10.2 Litres/100kms. I guess they reap what they sow? size population and share similar geographic attributes so one would think that their driving needs would be very similar. But vehicles owners in Windsor are the most irresponsible anywhere in Canada when it come to fuel efficiency and Quebec City consumers are the most responsible. Go figure. Calgary is second worse but then I'd expect that since Calgary is the centre of the oil universe in Canada and a lot of Westerners use pick up trucks as their personal use vehicle. Thunder Bay is also very poor at 10.15L/100 kms and Thunder Bay is the worse if you include commercial use vehicles. All the low ranking Cities (except) Windsor are in the West or are very dependant on the resource sector. The top five most fuel efficient cities are also in Quebec with Sherbrooke, Trois-Rivieres, Montreal and Chicoutimi-Jonquiere joining Quebec City (all in the low 9 L/100 km range). What's interesting is that fuel efficiency appears to very geared to income levels. This should surprise no one. Low income areas in the country like Quebec buy smaller vehicles than high income areas in the country like Calgary and Windsor (high income at least until recently in Windsor). This little analysis also highlights how hard it is going to be to reach the Federally imposed improved fuel efficiency standards over the next few years. Fuel efficiency is mandated to improve by about 25 percent by 2020 so cities like Windsor and Calgary are going to have to move not just to Quebec City levels of fuel efficiency but to levels better than you see in these cities today at closer to the 8L/100 km range. And the Quebec City's within Canada are going to have to move to maybe 6 L/100 kms? My take is that this will be near impossible. Sorry policy makers." The ultrasecret, six demands of the Windsor Star whining and naysaying reporter rebels have now been made public by Councillor Bill Marra for all the world to see! Hopes are fading that the putsch at the Windsor Star that has seen the capture of the Windsor Star Editorial Board can be settled peacefully and without a show of force. Answers to those demands may be the only way to prevent a huge tragedy from unfolding in Windsor. Sources embedded with the joint task force set up by Windsor police, OPP, RCMP and Canadian Forces that are surrounding the Windsor Star building in downtown Windsor have learned that the combined forces are waiting for orders for a major assault on the Star Headquarters. They are reporting that concern is rising that the posse of whiners and naysayers that have seized control of the Editorial Board may be becoming desperate. 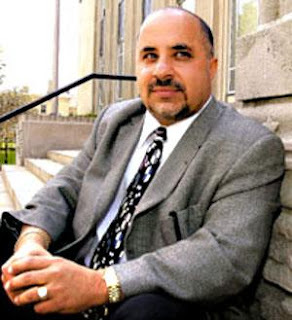 When indicted Detroit Mayor Kwame Kilpatrick crossed the border for a secret meeting with Windsor Mayor Eddie Francis Wednesday, Francis crossed the line. Explicit in these remarks, is an absolute rejection of the Mayor’s role as the Voice of Council given his failure on the border file to date. It is completely unheard of in Windsor for Councillors to be considered for any kind of a role on anything significant. By attending it, Francis exercised poor judgment and showed his disdain, yet again, for openness and transparency. Sources have raised concerns for several reasons. No one can recall when it was ever said that Eddie “exercised poor judgment.” Again, the demand that Councillors attend meetings is unprecedented and was stated twice in the same Editorial. However the main problem is that the Star’s main columnist, who at this time is being interviewed as a “person of interest,” has again written columns that are totally irrelevant and have nothing to do with the Tunnel deal. Authorities are trying to determine what role he has played, if any, in this rebellion. It almost appears as if he knows that this Tunnel Deal is horrific and that he chooses to stay completely out of it. Apparently, it is believed that the Publisher of the Star, Jim Venney, and his wife have been captured by the whiners and naysayers and have been taken into hiding. The fear is that he has actually been missing for almost 1 year. Authorities point out that the photograph in the Star on Saturday of the Publisher and his wife while seemingly taken at the Red Bull Race Party may actually have been taken on August 17, 2007. That edition of the Star shown his left shoulder was published on that date. Clearly that was intended as a message by the naysaying and whining reporter rebels. The new Transit Windsor bus terminal, with its arched roof, abundance of glass and sleek, modern lines, fits right in with its new neighbour, the Art Gallery of Windsor." They note as well that the bus terminal, (and hybrid buses were mentioned twice by Henderson recently), is located right beside the Art Gallery, the location of the Red Bull Party. “Jim, Jim, Jim...I got so teary eyed when I read your Publisher's message in the Star on Saturday. It can now be revealed that Councillor Bill Marra has been acting as a negotiator between the whiners and naysayers and the Authorities since the capture of the Publisher and his wife. Apparently, the Councillor whose reputation is known as one of being a consensus builder and trying to settle differences between parties as can be seen in his conversations at City Council meetings was the only Councillor who was considered for this role. 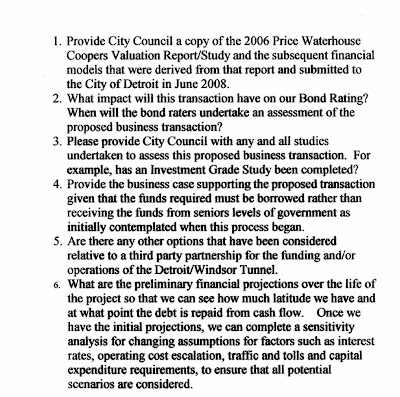 The whiners and naysayers provided a list of six demands that Councillor Marra presented to the Mayor in September, 2007 after the Publisher was captured, but to date there has been no response from City Hall. To avoid causing public panic, the Councillor asked the question as a Windsor Tunnel Commissioner rather than as a Councillor. However, the recent Editorials suggested that there was a need now to go public with the demands. Accordingly, to put pressure on the Mayor to try to get a resolution of this issue, Councillor Marra went public at the last Council meeting to let everyone know that he was formally putting the demands out for the Public to see. Those questions were posted at the beginning of this BLOG. It remains to see what the Mayor will do now or whether the Windsor Councillors will finally take heed of their legal responsibility under the Municipal Act and take action. Sources also say that intense pressure is being placed on Infrastructure Ontario to reveal what their due diligence work turned up notwithstanding that the City's loan application is "on hold." There is no doubt, sources report, that the situation is very grave. We return you to your weekend leisurely activities.